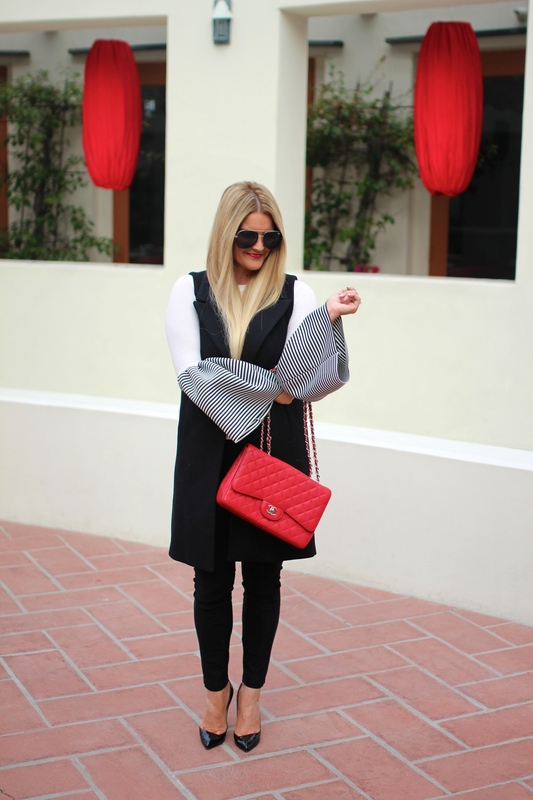 Bell sleeves are everywhere this season, and I am a total fan of this trend! They are an unexpected way to give some life to a simple look, and yet make a HUGE statement. I’ve seen them at a lot of designer prices that are out of most people’s budget, but when I spotted this top for under $30, I immediately added it to my shopping cart. These sleeves! You are right, it’s hard to find statement sleeves at a good price and I cannot believe this one is under $30! I am going to check it out, I love the stripes! So crazy that it’s the first weekend of December already. Hope you guys have a great weekend! Holy Jingle Jangle….just CUTE AS CAN BE! Those sleeves rock and the red is so festive and perfect! And you, my friend, are stunning beyond words! Hey babe, totally normal, with getting ready to move, I am waaaay behind, but I breathe and know it will all get done. It will for you too beautiful. Have a sweet weekend! I still have some gifts left to get, but usually I try get everything done by December as it’s too hectic to visit the stores then in the rush, haha! 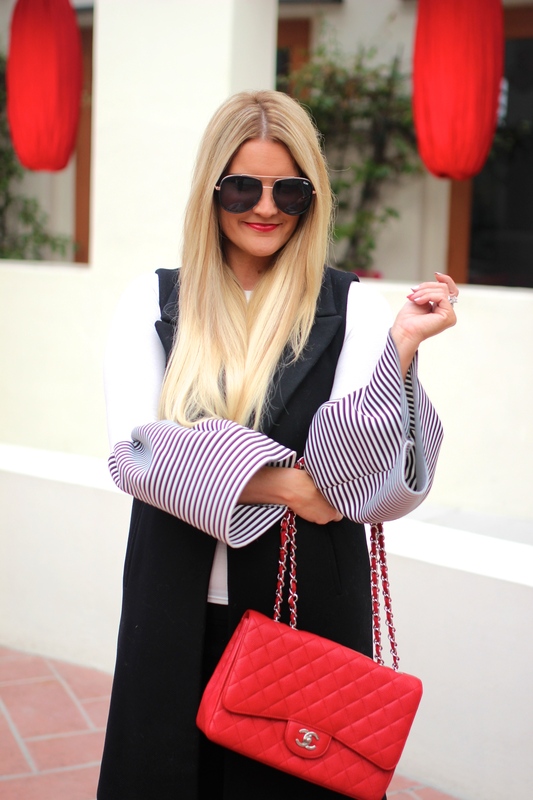 This may be my favorite bell sleeve look, love the mix of black, white and red too. So chic. Gorgeous!! Love the sleeves on this top! Beautiful Shauna! I love this look and those sleeves are amazing! Such a fun statement! I cannot get over how fabulous the sleeves on this top are!!!! I am getting a late start too this year. I am trying not to stress though because it usually all comes together…right? Ohhmmy that is a cute bell sleeve. I’ve been lovin it lately. Love the bold statement of these bell sleeves! Such a beautiful look, perfect with the red accent of the purse! You look amazing! Love that jingle bells!! You have the most amazing statement pieces!! I just love the sleeves on this! I cannot believe we’re in December! Let the holiday times roll! This blouse is so cute + festive! 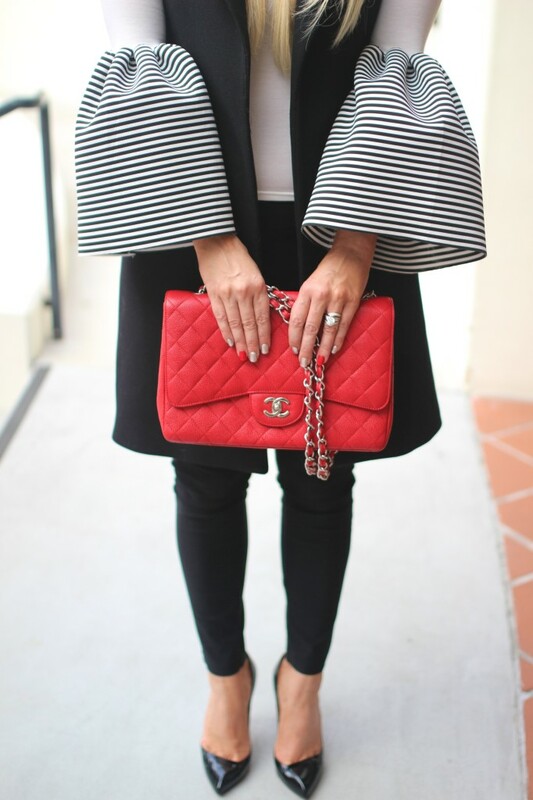 Love the sleeves and that bag couldn’t be more perfect with them!! I love the sleeves on this top! And that bag is gorgeous! Incredibly outstanding! Your sleeves are the star of the show. This has a taste of sophistication while showing you are in shape. I love the red bag girl. This look is just too good! Those sleeves are AMAZING, I love this head to toe! What a gorgeously chic outfit dear! I soooo love the sleeves! Such a pretty touch. Yes, the days are just flying by. You have 22 Christmas shopping days left babe. No pressure, lol. Obsessing over your outfit and those sleeves are darling. Stunning outfit! I love the bell sleeves and the gorgeous red bag! 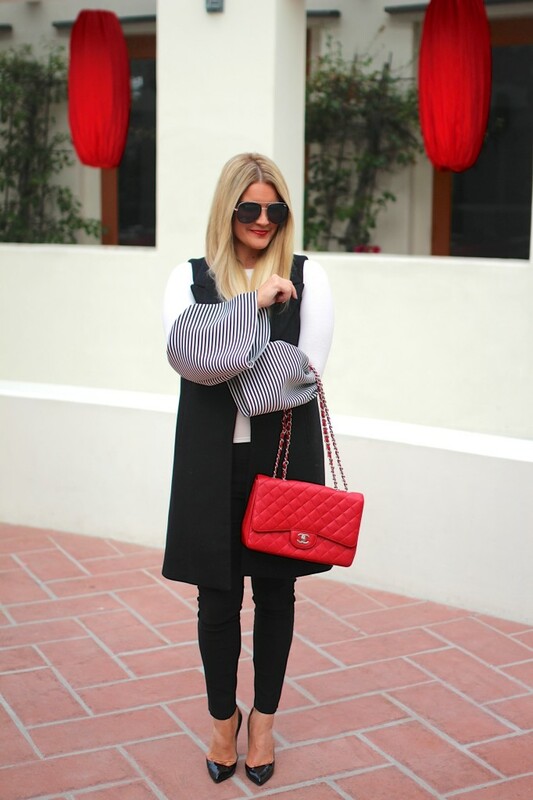 Those sleeves are so fun and you know I love your Chanel! Under 30????? That’s a deal because those sleeves are epic!